Immerse yourself in contemporary luxury and style with a warm coastal feel. 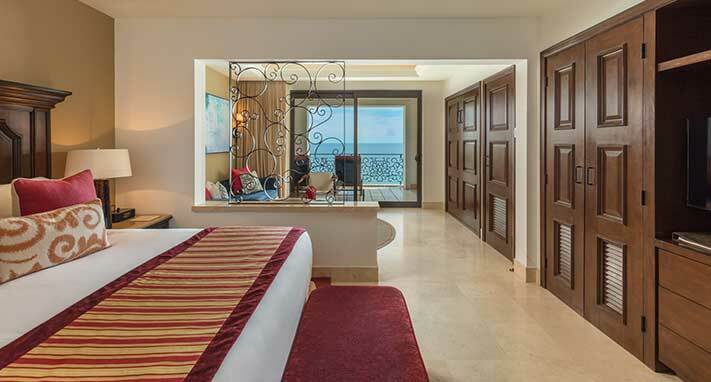 Masterfully designed for relaxation, our spacious Los Cabos suites offers a peaceful retreat where the sound of ocean waves and stunning views carry you far away from the ordinary. Relax on your terrace and enjoy delectable dining with picture-perfect ocean vistas. Sleep like never before on plush king size beds and sink into the bubbly waters of the Jacuzzi tub. Our spectacular suites also feature kitchens, flat screen satellite TV, wireless Internet, wet bars, dining areas and marble floors. Experience true luxury in the paradise of Los Cabos, where ocean views and sunsets excite your vacation spirit.